September Market Update: Wall Street at Record Highs as TSX Turns in Reasonably Strong Q3 Performance - Inukshuk Capital Management Inc.
October 3, 2017 /in Market Update /by Inukshuk Capital Management Inc.
September was a solid month for North American markets. 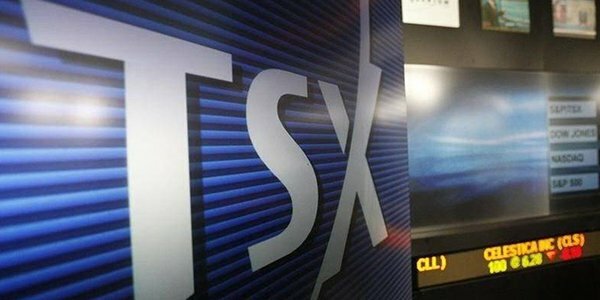 Canada’s benchmark TSX notched four-month highs as heavyweight financials climbed and energy stocks responded to an upsurge in oil prices. On Wall Street, it was business as usual as the main equity indices rallied to new record highs. Monetary policy developments and volatility on the geopolitical front also factored into investors’ decision-making last month. These developments will continue to loom large as we embark on Q4. After a lacklustre first half, the Toronto Stock Exchange turned in a positive third quarter thanks to a strong September. The S&P/TSX Composite Index ended the month with a 2.8% gain, closing at 15,634.94. That was the highest close since early May and biggest single-month gain since July 2016. The financials group, which accounts for more than a third of the TSX’s weight, was a strong contributor in September. Energy stocks also rose sharply as oil’s rebalancing act continued. Crude prices have now rallied 20% from June lows, with ICE Brent futures recently setting fresh two-year highs. U.S. West Texas Intermediate (WTI) futures also rose to more than five-month highs on the Comex division of the New York Mercantile Exchange. As a result of the September gains, the TSX rose 3% in the third quarter, and is now up 2.3% year-to-date. Its year-over-year return is a more impressive 9.2%. U.S. stocks surged in September, confounding the seasonal pattern of declines during the month. The benchmark S&P 500 Index finished at a record high of 2,519.36, having gained nearly 2% during the month. The technology-laden Nasdaq Composite Index joined the S&P 500 in record territory, gaining 1% in September. Meanwhile, the Dow Jones Industrial Average finished a few points shy of all-time highs, but managed to string together a streak of seven consecutive record closes through Sept. 20. It was the Dow’s first eight-quarter win in two decades. The resilient bull market is being fuelled by rising expectations of economic growth and corporate earnings under Trump Administration. Markets were encouraged last month after the president struck a bipartisan deal to raise the debt limit, thus avoiding a last-minute scramble before the Sept. 30 deadline. The controversial deal, which was panned by fellow Republicans, included provisions for Hurricane Harvey relief efforts. Shortly after the debt deal was reached, Hurricane Irma slammed into the Florida coast. Gross losses from Harvey and Irma may reach as high as $163 billion, according to estimates. The decision sent the Canadian dollar to two-year highs, with market participants pricing in a chance of one more rate adjustment before the end of 2017. It didn’t take long for Canada’s big banks to raise their prime rates, beginning with RBC. TD, BMO and Scotiabank quickly followed. Mortgage rates are also on the rise as the banks pass on higher financing costs to their customers. Meanwhile, signs of a cooling economy emerged in July as GDP failed to grow for the first time in nine months. The pullback, though hardly surprising, suggests the economy is beginning to moderate after a fast start to the year. Seasonal influences usually make the end of October a favourable time to buy equities. The so-called ‘Halloween Indicator’ predicts that Oct. 31 marks the best six months for stocks. However, it remains to be seen whether Wall Street can continue its pace of record-setting gains amid growing signs of overvaluation. In Canada, banks and energy shares will continue to dictate investor sentiment. A prolonged rally in oil prices could spark an extended rally for the TSX, given its outsized exposure to the energy sector. Chuck Mikolajczak and Fergal Smith (September 29, 2017). “The close: TSX notches 4-month high; gains 2.8% for month.” The Globe and Mail. Evelyn Cheng (September 29, 2017). “Dow posts first 8-quarter win streak in 20 years.” CNBC. BBVA Bancomer Team (September 20, 2017). “Economic impact of Hurricanes Harvey & Irma.” FXStreet. Market Update: Canada’s Economic Resurgence Fails to Lift TSX as Wall Street... When Should You Take Your CPP?